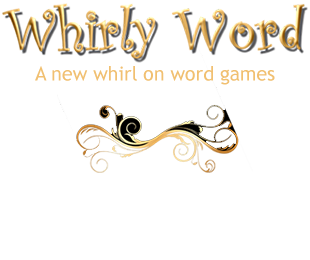 Starbucks is featuring Whirly Word® as their Pick of the Week for Independence Day 2013. 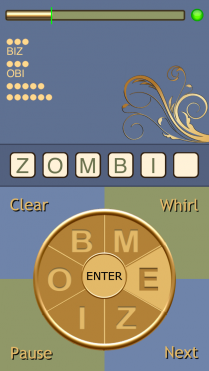 Get your free digital download of Whirly Word directly from the Starbucks iPhone app. This promotion is limited, so download it today and enjoy a little word puzzling with your next cup of Starbucks coffee! 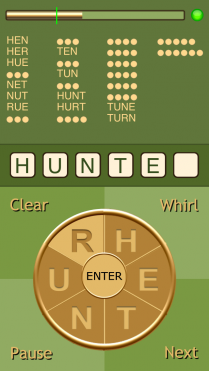 A new whirl on word games! 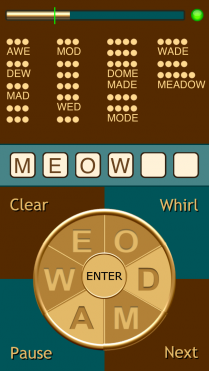 Have fun with anagrams; no really, words can be fun! How many words can you discover from six letters? Solve the puzzle instantly by finding the six letter word or step up to the challenge of finding all possible words with the letters given. 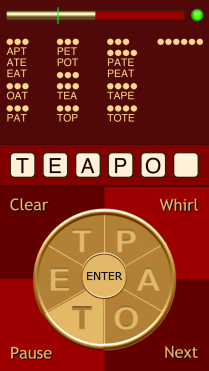 Whirly Word comes with over 5,000 puzzles, multiple color schemes, score tracking, and background music and sound effects that can be turned off so you can listen to your iPod while you play. 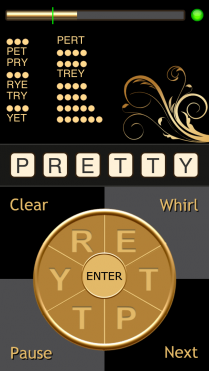 This possibly makes Whirly Word the most relaxing word game in the App Store market that is also a good brain exerciser.